As a destination, Madison has earned its eclectic reputation. Playing host to both capitol and campus makes for an interesting intellect. People ride their bikes everywhere--even in winter. And our agricultural heritage has inspired a foodie culture that&apos;s far from what one would expect in the Midwest. About the only thing that&apos;s predictable about Madison is how much people love our city&apos;s culture when they visit. 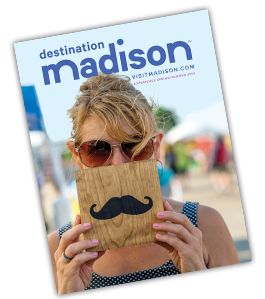 Discover why planners give rave reviews about hosting meetings in Madison by perusing--and using--the tools below to help drive excitement in your attendees.